The world is filled with pain & sorrow, the Buddha teaches--yeah, I kind of already knew that, ok? Barbara Ras, Bite Every Sorrow. No wonder this book won the 1997 Walt Whitman Award. Ras “unscrew(s) the doors themselves from their jambs,” welcoming all things into her poetry in lines that, if not sprawling, are sprawl-ish. I like Ras’s poems, so it may seem contradictory to admit that I had difficulty reading this book. So many words, so many ideas, all presented in lines that stretch & yawn across the page. Too often, I found myself shortening--I like to think--strengthening lines. (I filled a notebook with alternate line breaks--if interested, text me.) At her best, Ras displays a flair for metaphor, giving it multiple layers, braiding imagery together: "not the flash in the pan heat that turned shrimp pink, but steady/pie-cooking heat, the kind that would make meringue rise, confessions falter,/heat that made the horizon burn unattainably beyond the water where the sun/laid itself like gooey sequins, like Pizarro's dreams of gold." Needless to say, this example has nothing to do with the fun fact that you can sing the book title to the tune of Chaka Khan's hit single, "I'm Every Woman." Charles Simic, That Little Something. My initial reaction to this volume was, “Doh! I meant to read Shelley!” Aside from that, Simic is an exceptional poet. I’ve read many of his nearly 30 books, my favorites being his earlier works, such as Return to a Place Lit by a Glass of Milk, Charon’s Cosmology & School for Dark Thoughts. He’s won numerous prizes & has served as U.S. Poet Laureate, so far be it from me to criticize such a distinguished poet. Well, not so far actually. Most of the poems in the collection lean toward the forgettable, but there remains some quality material here, like “Doubles,” “Walking” & the title poem, each reminiscent of the kind of work that has landed Simic a Pulitzer Prize & MacArthur Fellowship. However, other pieces don’t meet expectations, great or otherwise. For instance, “Metaphysics Anonymous” & “The Ice Cubes Are on Fire” disappoint, neither living up to the tease of their tantalizing titles. Worse, “Ghost Ships” regrettably begins, “The soul is a ghost ship/Set adrift on the seas of eternity . . .” You’re trying too hard, I imagine myself telling a student who’d written those lines in creative writing class, to make the poem important. For my money, an implicitly soulless ship sailing on a specific ocean, maybe the Pacific, can express the same idea. Of course, I don’t actually have money. I’m a poet. James Tate, Distance from Loved Ones. On the poetry Mt. Rushmore carved in the granite slab inside my ego-inflated noggin, James Tate occupies the spot afforded in the real world to Washington or Jefferson, but not Lincoln or Roosevelt. Tate’s my favorite living poet. (I’ve heard he’s not in the best of health these days, which saddens me. Get well!) 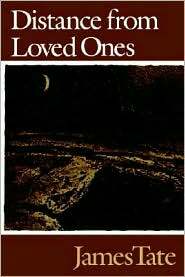 I selected Distance from the Loved Ones (1990) because of all of Tate’s books, I remembered the least about this volume. 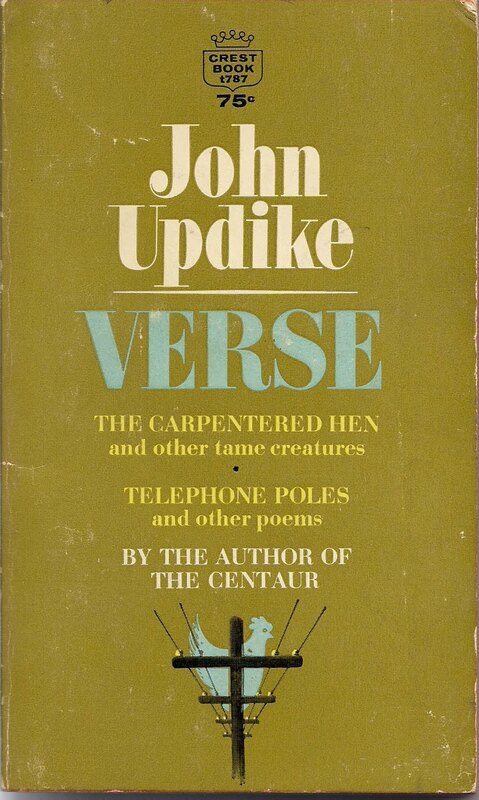 It doesn't contain any miraculously great poems, but there's still enough of Tate’s characteristic wit, non-sequiturs, charm, & absurdity to feed a multitude of literati. If you'd like to sample a few of the poems, I'm providing a link to an abbreviated online copy of the book here. I highly recommend this & all of Tate's books. The Last Neanderthal, Michael Van Walleghen. I thought it might be funny to call the author Philip Levine Lite, but it would be more ironic than funny. Both Van Walleghen & Levine come from the same geographic area, which they write about in a similar style down to their compact lines, but while Levine is not known for his sense of humor, Van Walleghen might not know what humor is. Don’t misunderstand me: he isn’t funny. 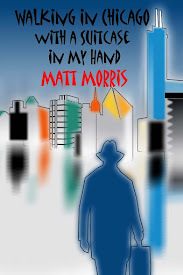 He has obvious skills as a poet–I can’t complain about his craftsmanship–but this volume, consisting predominantly of nostalgic poems of his childhood & early adulthood, desperately needs comic relief. Let me give you a few examples of the associative process at play: 1) accordion music leads to the remembrance of an unknown man crushed in Calumet; 2) snow stimulates the relatively (it was his mother's recollection) happy thought of not starving because of the family cow; 3) the general impression of the Upper Peninsula in three words: diphtheria, typhoid, lice. That's just from one poem! 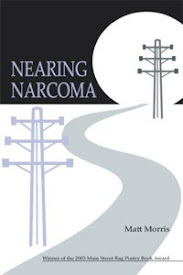 Speaking of nostalgia, I'm reminded that as an undergraduate, I garnered the nickname of Matt “Morose,” because, believe it or not, my poetry used to be dark & moody. I imagine we'd have called Van Walleghen something fittingly witty too, like Michael “Hey Lighten Up You’re Really Starting to Bring Me Down” Van Walleghen. 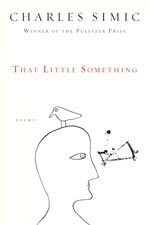 Seriously, a better book by Van Walleghen, poet lauraete of Illinois, is his 1980 Lamont Poetry Prize winner, More Trouble with the Obvious. If you've not read Van Walleghen, that's the place to start. Coming soon: W, X, Y, Z! This coming Sunday afternoon at 2, the mixed media poetry troupe I perform with--I juggle pantoums while riding a mad ghazal up a Burmese climbing rhyme blindfolded--presents an encore showing of Poems in an Exhibition at the Cabell County Public Library at 9th St. & 5th Ave. in Huntington, West Virginia. Most of the verse is free, though authors will have selected volumes of their work for sale. If you've not caught this act before--or even if you have--bob & wheel downtown for an aesthetic movement you don't want to miss. Fabliau, professor emeritus at the Fleshly School of Poetry, will reunite with his longtime partner, Little Willy, Crown Prince of Syzygy, to present the burlesques & clerihews that made them household words in Tornada & the tri-state area. Macaronic verse & molossus will be served. Couplets welcome. Parataxis & quatrains are conveniently located within walking distance of the library. Epic fail if you're not there.